Deadheading is an often overlooked but beneficial pruning technique. Through this method, certain flowers can be encouraged to bloom for twice as long as they normally would. Unfortunately, new blooms don't proliferate on deadheaded peonies the way they do on other flowering perennials. But varieties that produce multiple buds per stem may be coaxed into producing a few more, larger blooms than they normally would. Spray your pruning shears with disinfectant before you begin to prevent the spread of disease or fungal infection. 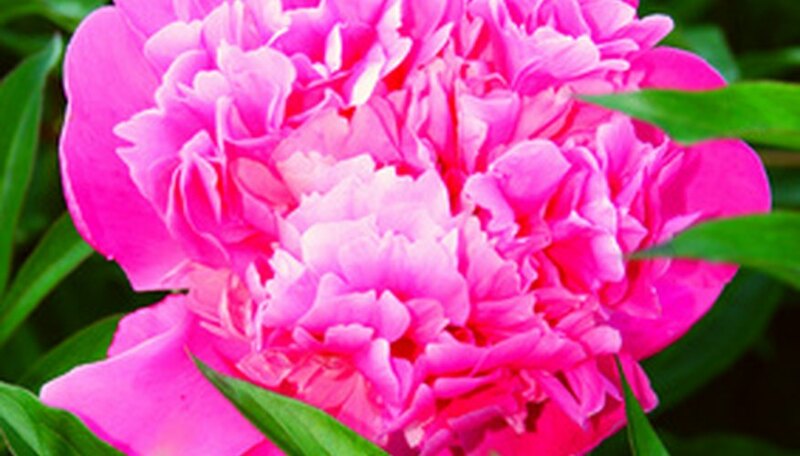 Inspect your peonies for faded flowers that are ready to be deadheaded. A flower is ready for deadheading once it is wilted and drooping. Grasp the spent flower with one hand to expose the stem on which it is growing. Before you cut, carefully examine the stem for any flower buds that may be small enough to overlook. Use your pruning shears to cut the peony just above the leaf that is right below the blossom. Take care not to cut off any new buds. Deadhead the rest of the plant's spent blooms as soon as you see them until the peony has stopped flowering. While deadheading may not produce prolific flowering, it makes the peony look more attractive and prevents it from setting seed.